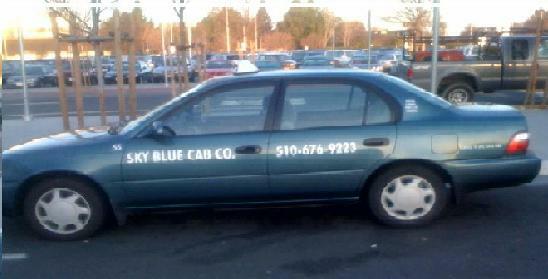 Sky Blue Taxi Cab Co. is a friendly and professional taxi ser viceout of Fremont, California. We provide full taxi service to Fremont, Newark, and Union City for local and long distance rides including airport transportation to SFO, SJC, and OAK. We also offer daily shuttle service for business meetings for our corporate accounts.